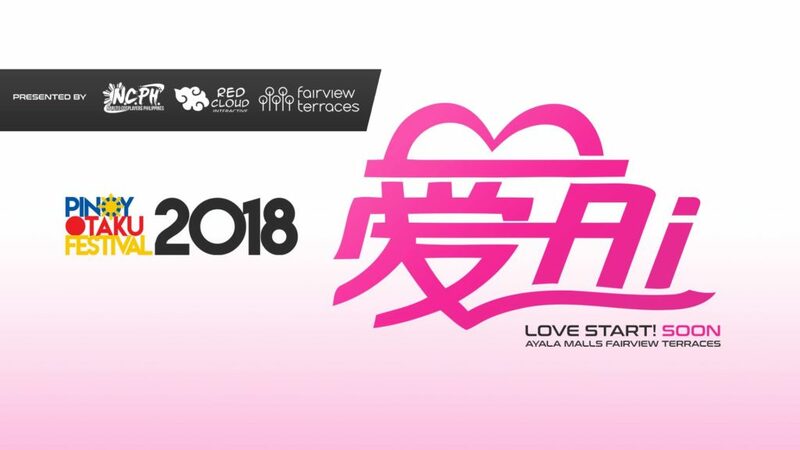 Pinoy Otaku Festival (POF) 2018 will be on June 2-3, 2018 at Ayala Malls, Fairview Terraces. This will be the 5th run of the event which aims to bring both the Japanese and Pinoy culture together. The best part of the event is that IT IS FOR A CAUSE and IT’S FREE! Play Games. If you are looking to play television inspired games then this is the event for you. Play games like, “Who Wants to be the Ultimate Otaku?” “Anime Feud,” “Otaku Singing Bee,” and more. Your partner and you can also join Animazing Race which is an Amazing Race inspired event which is tailor-fit to the event. Competitions. Pinoy Otaku Festival 2018 is full of competition which everyone would love. There is varying cosplay exhibition including CosCraft: Costume Mentoring Challenge which puts various known cosplay costume makers and mentors to test as they train each of their apprentices. Watch also a brand new singing competition where singers are also in cosplay in Your Cosplay Sounds Familiar. One of the climaxes among the competitions is the Cosplay Idol Season 4 Finals and the Battle of the Bands. Panel Discussions. If what made the event last year a success was their engaging panel discussions. This year the topic will include a discussion on male Japanese voice actors, love in cosplay, Marvel vs DC and the comparison of Anime – Light Novel and Visual Novel. Each of these is surely topic which you would love to participate. 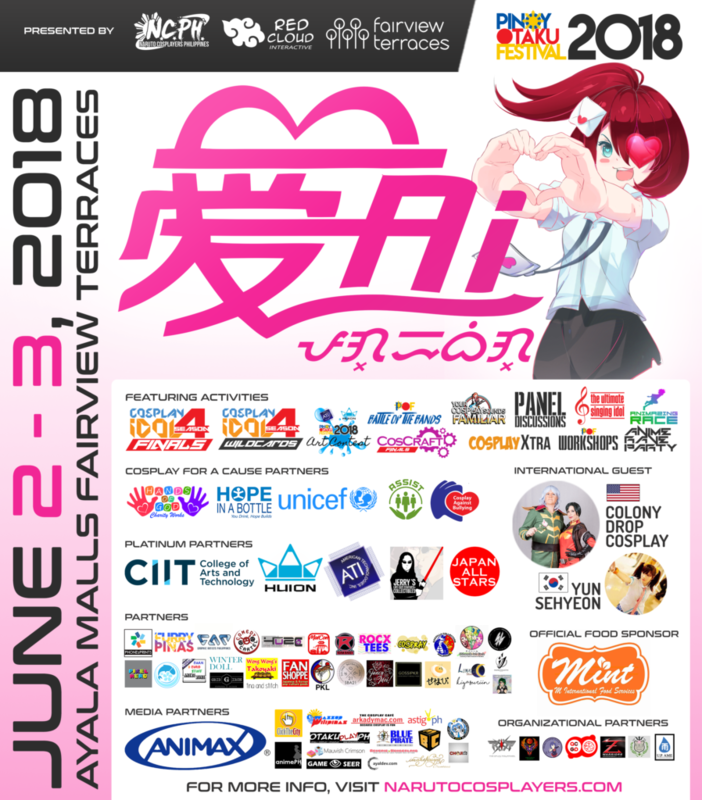 Pinoy Otaku Festival 2018 is also an event for a cause. Donations in kind will be accepted which include hygiene kits, school supplies and more. The donations that will be collected will be given to Hands of God Charity Works. Each contest registration as well as part of the proceeds of the Love Booth will also be given to this charity partner. You can also buy a mineral water and automatically donate part of your payment to Hope in a Bottle which builds a classroom for children in the Philippines.UNICEF through Assist Fund Raising will also have a booth at the event, visit their booth and commit to helping children in need. Last but not the least if you are a cosplayer you can participate in the Cosplay Again Bullying photo and video shoot for the International Anti-Cyberbullying Day on June 15. Just ask the information/registration booth for details.